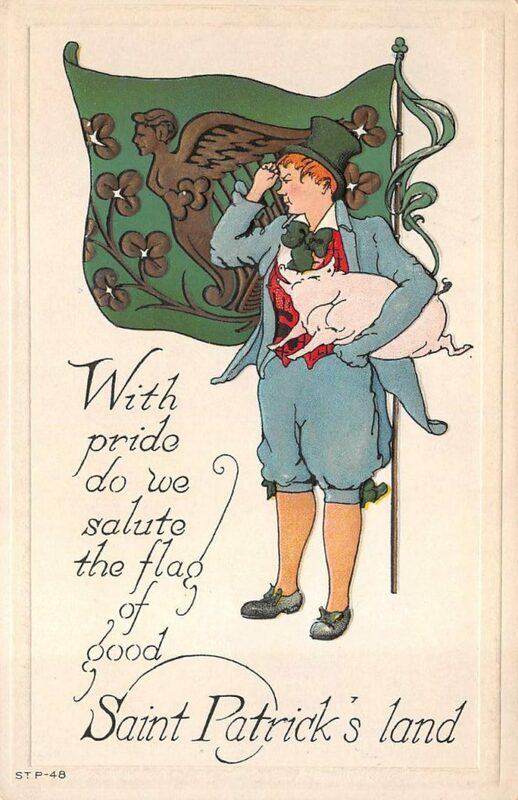 Once again, St. Patrick's Day is upon us: that brief shining moment when shamrocks and rainbows and pots of gold litter every street, when pipers perch on every corner, when inappropriately-colored pints of ale magically appear in front of bar patrons, and the waterways (and gutters) run in brilliant shades of green. Beer and whiskey flow freely, the repentance and moderation of Lent is momentarily forgotten, and Hibernian processions overtake the streets in celebration of their heritage. It's one of the great cultural celebrations of Western Civilization, a wild hybrid of religious and secular traditions that brings together all manner of people, and often centers around a shared love of food and drink. And while we here at the Professorial headquarters never need excuses to enjoy a beverage or two (imbibing is, in actual fact, an important part of the job), we can certainly see the appeal of a good old-fashioned booze-inclusive festivity. 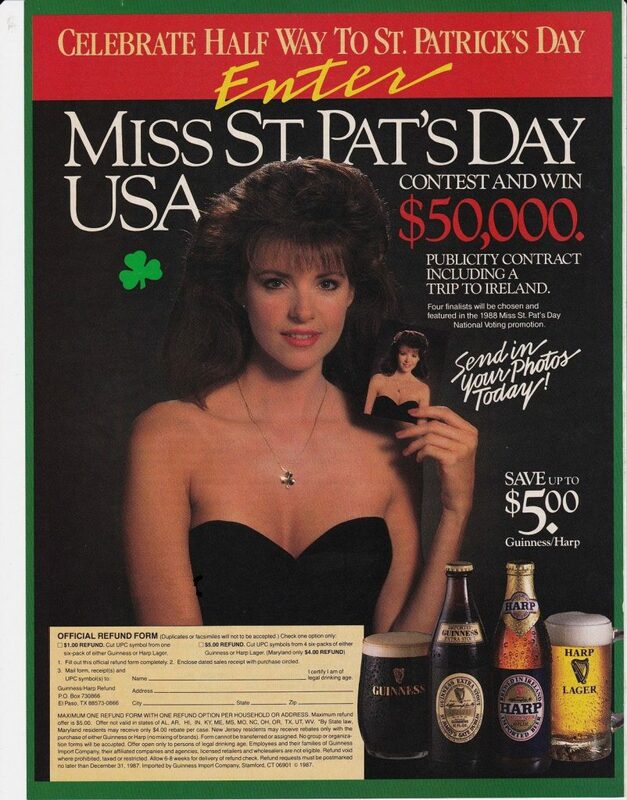 Plus, from my personal perspective as in-house historian, it provides plenty of incentive for me to dig through some old magazines and emerge with some appropriately Irish-centric imagery. 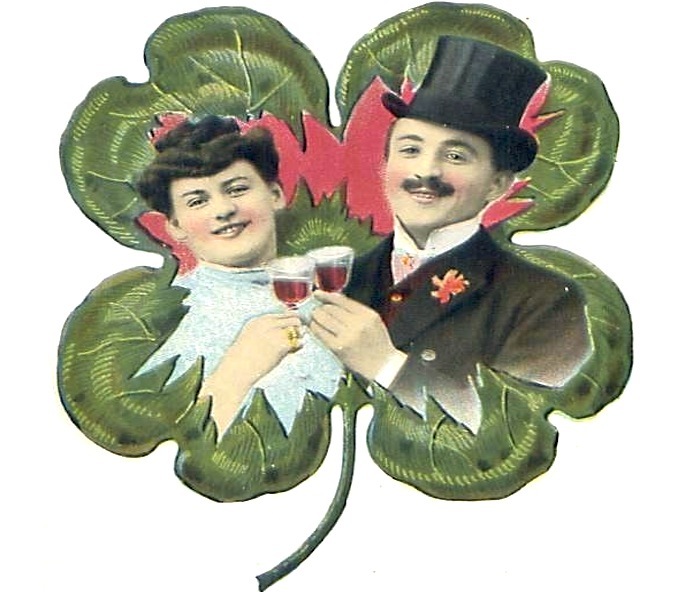 In past years, I've offered up a brief chronicle of St. Paddy's celebrations and an accounting of Irish Whiskey's impact in the United States, but this time around, I decided to cast a wider net and offer up a more diverse selection of vintage visuals. So dust off your top hats and polish your boot buckles, and join me in exploring the historically intoxicating effects of the Emerald Isle! Whiskey, is of course, one of the first things that comes to mind today when considering the great exports of Ireland. 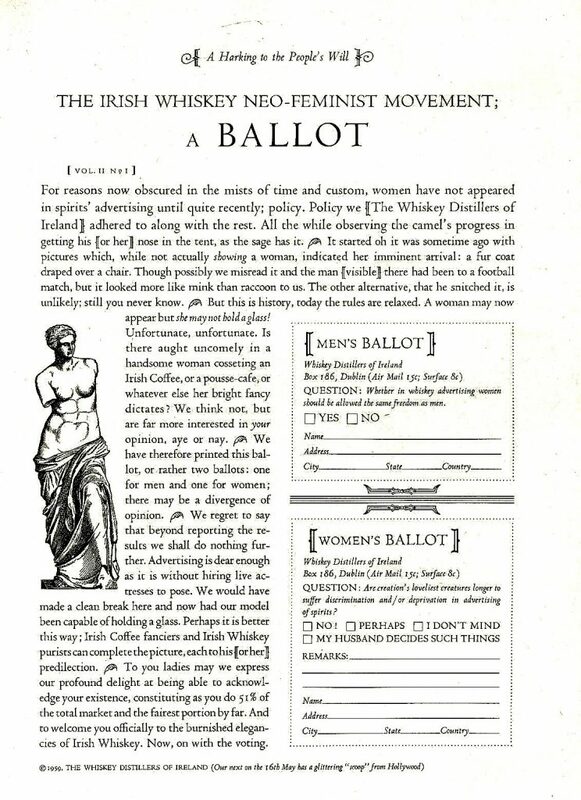 But while a number of brands mounted marketing offensives in America over the years, it wasn't until the latter half of the twentieth century that Irish whiskey truly found a mass audience, elbowing Canadian, Scotch, and various varieties of stateside whiskey aside to claim its own place in well-stocked bars, establishing itself as a distinctly desirable delicacy. And sometimes forming alliances (and capitalizing on social concerns) to deliver their message to potential customers. But also as one-half of a stylishly simple concoction. Or tying in to St. Paddy's in various ways. I should add, however, that whiskey and beer was hardly all that the land of saints and scholars has offered over the years – there are numerous notable cordials and liqueurs from Ireland that have drawn devoted followings. And just in case you feel like there's not enough selection when sticking to sincerely-Irish beverages, we can also consider the long-standing tradition of American companies using Irish elements to promote their own products. Finally, for those consumers who felt a bit adventurous, one can always try concocting cocktails. 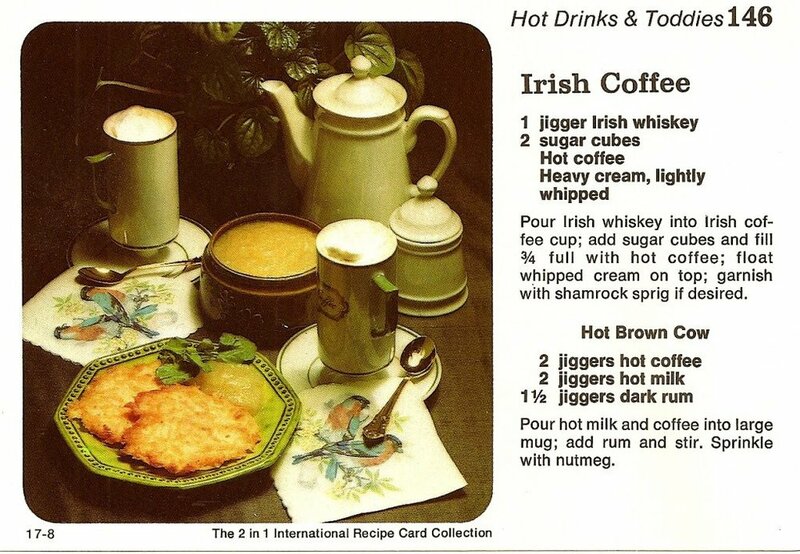 There are any number of vintage recipes utilizing Irish elements, and any could serve as suitably retro-cool choices for a St. Patrick's sipping spree. Though now that I look at them, I cannot, in all honestly, offer a recommendation for any of the above selections. Perhaps we should just stick to the classics. But now, I'm sorry to say, I must wind up this trip back through time, return to the present day, and get back to planning my own green-themed festivities. I wish you a joyous holiday, one filled with friends, happiness, and delicious drinkables. And in grand St. Paddy's tradition, I'll end with a toast. Let us lift our heads high, tip back our top hats, take our pigs in our arms (? ), and lift a glass to the spirit of the Emerald Isle.